This is the largest damselfly family, including roughly 90 North American species in 15 genera. Most genera are found in lentic habitats, except Argia, which is usually found in streams among rocks and plants. Nymphs are climbers and stalking predators among plants and roots. Some of the nymphs in this group can be used for fly-fishing, but usually are only useful in slowly moving water. 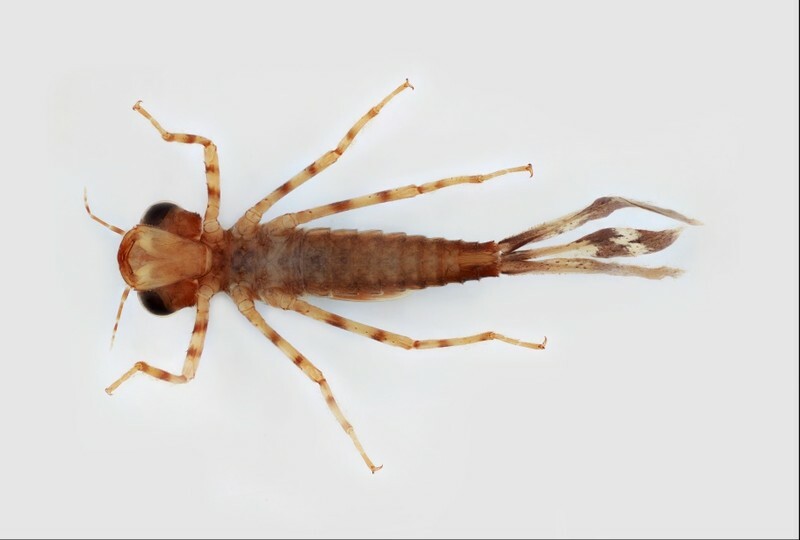 Unlike most damselfly adults, which tend to rest from flight on plants, members of the Coenagrionidae tend to rest on rocks or other exposed surfaces. Interestingly, adult males and females of the same species tend to differ in color. Order: Nymph with mask-like labium below chewing mouthparts. Wings developing in wing pads. Segmented legs present, each with two claws. 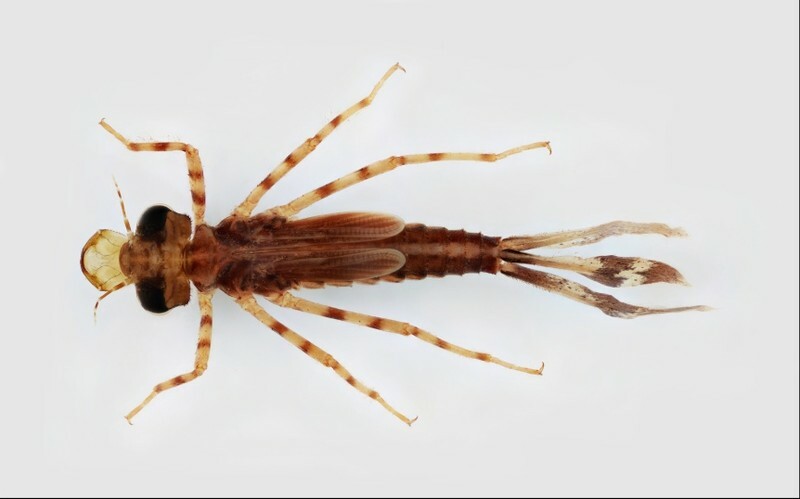 Family: Zygoptera (slender body shape with head wider than thorax and abdomen, and with 3 long feather-like gills at posterior end). Antennal segment 1 much shorter than rest of its antenna. Pair of lobes at distal end of labral mask each with 0–6 setae, but attached moveable hook without setae. Ligula (distal part of palm of mask) usually without median cleft, mask roughly triangular or square (not stalked as in Lestidae). Each side of median line with either 0, 1, or 3–5, dorsal premental setae (hairs inside the palm of the mask). Mature larvae 13–25 mm long.